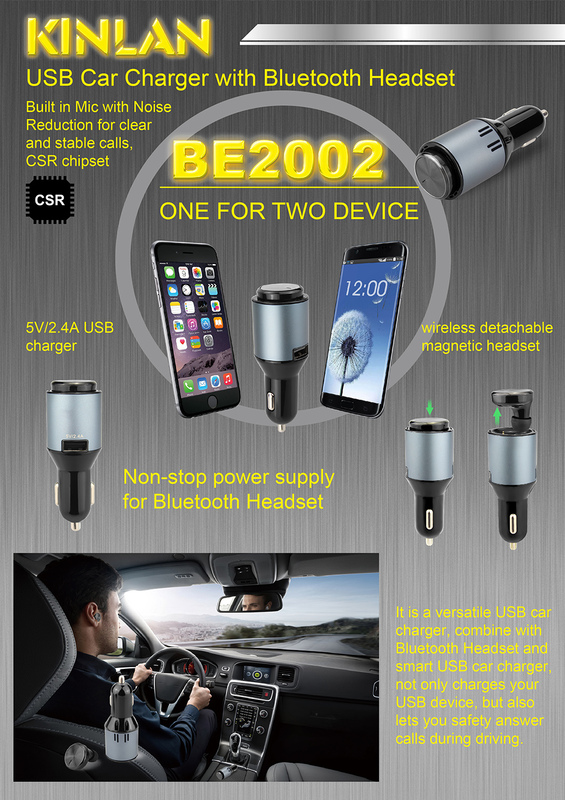 This Car Charger with Bluetooth Earphone, is born for safe driving and made for convenient driving. Place the earphone into the dock and plug it in the car while you are driving, the earphone will be charged. Equipped with high quality chipset, the earbud features premium sound quality, low consumption and noise reduction.